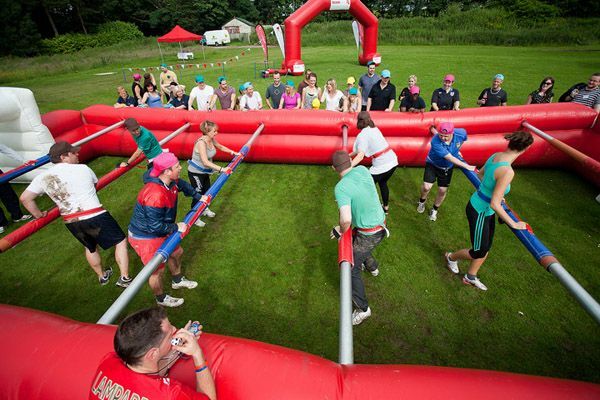 The human table football game is a fun spin on the ordinary game – it is a giant-sized foosball table in which you are the players. We strap you on the poles and off you go. Enrich your event with this game if you want something new and to leave your guests laughing and wishing it wouldn’t end. The game comes with a giant inflatable field on which 10 players can play at a time. And don’t forget – spinning isn’t allowed!